When you were younger, the only thing that made summer’s end slightly more endurable was the fun of picking out school folders, pencil cases, backpacks, and T-shirts with your favorite characters on them. Armed with these fashionably functional tools, you could boldly go where all students had gone before: back to school. Today it’s not so simple. There’s a mile-long supply list with brand, color and size specifications on most items. Add to that all the fees for extracurriculars, technology and classroom materials, and you’re beginning to wonder why you didn’t buy stock in hand sanitizer or facial tissue when you had the chance. It’s stressful. And expensive. But it doesn’t have to be as stressful or expensive—if you’re willing to do some planning before purchasing. 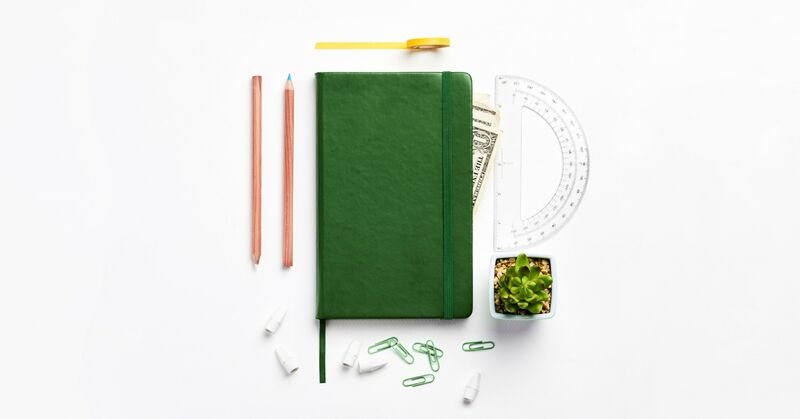 Together with your EveryDollar budget and our list of tips, you can take on back-to-school shopping without having a breakdown next to the three-ring binders. 1. Get the official school list. Before you can shop, you need to know what to buy. Get your hands on the official supply list for each kid’s school and grade. Look on your school’s website or at the store. Walmart, for example, keeps local school supply lists near the registers. Get Ready: Before you shop, label a bag with each kid’s name; you’ll put all purchased supplies in this designated bag as you go along. Color Code: Use a green check to indicate the item is purchased; use a red one once you’ve placed it in the correct child’s bag. Get Help: Depending on their age, the kids can help you put their supplies in their designated bag and make check marks as you go along. 2. See what you already have. At the end of last year, your child emptied their cubby, desk or locker and brought home a literal mixed bag: part trash, part memories, and part still-useable supplies. Did you keep the good stuff? If not, do it next time. If so—can you use any of it this year? Look around the rest of your house too. You might already have the correct calculator, plenty of pencils or those unused highlighters your little scholars need. Just remember, put whatever you find in its designated bag, and mark it off on your list! 3. Follow stores on social media. Sales don’t help if you don’t know when they’re happening! Start following Target, Walmart, Staples, T.J. Maxx, Office Max, Best Buy, Amazon Deals and the like on social media. If you find the image flood of consumerism causes too much temptation later on, you can always unfollow! As you see those sales pop up, take advantage of the savings with a well-thought-out shopping list divided store by store. Of course, you don’t want to drive hours to save pennies. Keep gas prices in mind as you plan your shopping routes. You have to balance the value of the deal, your time and your gas tank before you make a special trip. 5. Know cheaper isn’t always better. Avoid the mentality that the thriftiest option is the best. Sometimes it’s cheap in more ways than one. This is especially important when you’re purchasing clothing and materials that’ll take a lot of wear and tear like shoes, coats, backpacks and jeans—or ones you hope to hand down from one kid to the next. Celery, alibies, zoo fences, and school supplies: What do these things have in common? No one wants them to be flimsy. Inexpensive things may fall apart with daily use. Think more about the word “value” than the word “cheap” as you hunt for deals. And before you grow frustrated at the teacher’s brand specifications for those crayons, erasers, pencils and watercolors, just know the reason is most likely long-lasting quality. You can always get in touch with the teacher if you want to buy a thriftier option. 7. Take advantage of tax-free weekend. The number of states hosting tax-free weekends is growing. If your state has sales tax and is involved this year, find out when and get in on the saving goodness. Depending on your state’s offerings, you can buy clothing, supplies, shoes and even some tech items tax-free. And guess what? You don’t have to be a kid to participate. You may want to use your clothing line or miscellaneous budget category on some new threads, kicks or gadgets—just for yourself. These days your kids can’t say, “I like the Eiffel Tower and fries—I should join French Club!” and just show up at the meetings. Nope. They’re required to acquire an authentic beret, purchase and memorize Les Misérables, and sign up for pricy patisserie baking lessons on the side. Any extracurricular means extra spending. If you have multiple kids with multiple interests, you could find yourself paying more for their bands, musicals, sports, clubs and leagues than your monthly mortgage. Start the school year with clear expectations and limitations: Each child can pick one extracurricular. You can narrow down the options based on your income if need be. But don’t eat plain pasta all week so your kid can join the extravagantly priced Model Railroading Youth Alliance or Synchronized Student Scuba Divers Society. Following a budget is a family affair, and everyone needs to work at living it together. If your student wants to jump into more than one extracurricular, and their grades and health won’t suffer, you can let them earn commissions with work around the house or get a part-time job to pay for whatever wardrobe, equipment or other elements are required for their chosen activity. The kids might want to pick out their backpack or try on some clothes. But don’t take them on the hard-core supply shopping trips. You have a well-organized list. You’re going from store to store. You can’t get off track—and kids love going off track. 10. Make a clothing plan. Shop your kids’ closets and drawers. What fits? What doesn’t? Did you save the older kid’s stuff to hand down? Is it time to go through that bin? Ibotta, Shopkick, Dosh, Receipt Hog—all these apps (plus many more!) give you cash back or gift cards for things you’re already buying. Use one or more through the back-to-school shopping cycle. You can spend the money you get back to purchase the stuff your kids don’t need right away, which brings us to our last tip. 12. Spread out the shopping. Don’t feel like you have to buy a completely new wardrobe before school starts. Because you don’t. Spread out the spending over several months. Since you have to be so focused on supplies to start, just acquire the apparel posing an immediate need. 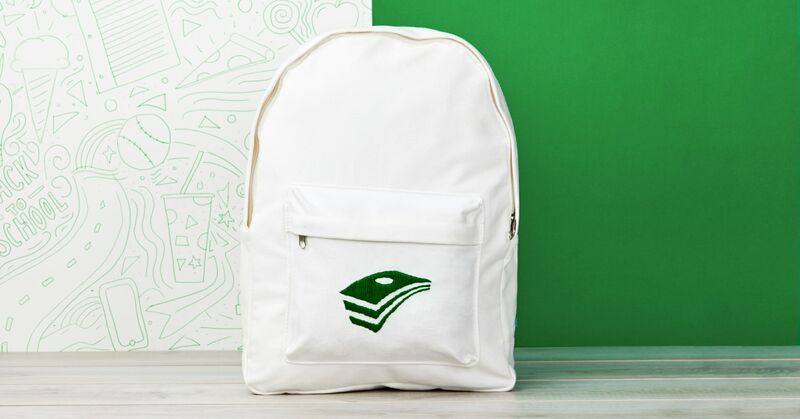 You’re going to feel the allure of the back-to-school sales. But there will be other sales. Trust us. Old Navy, Gap and Children’s Place email out 40% off codes on the regular. Buy a little this month; buy a little next. Don’t blow the budget in August. Not only is that a questionable money decision, but your kid’s also likely to shoot up another inch by October. Then it’s back to the racks anyway. If you’re reading this mere weeks or days before class commences, you don’t have the luxury of planning months ahead of time. You still can follow all the aforementioned tips, and you’ll be in good shape. But if you want to be in even better budgeting shape next year, you have to work out those budget lines and sinking funds. Do you need to add a line in your budget for clothing? What about the extracurricular activities each kid loves? And don’t forget the holiday parties you will be asked to donate to or chaperone. Look at the upcoming school year activities and make an expense line to keep all those expenses accounted for, so when the time comes, you’re ready to pay. But we can help you terminate tears over money woes. It all starts with a budget. Get your free EveryDollar budgeting app today and take control of your finances—any time of year.